SAGE | CQ Press is an international, leading publisher of groundbreaking textbooks, highly influential journals, and innovative, cutting-edge resources and tools in communication, media studies, and journalism. Known for their objectivity, breadth and depth of coverage, and high standards of excellence, our textbooks, reference materials, and journal content span the curriculum and represent the work of some of the leading minds in the field. 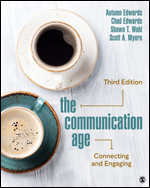 This new Third Edition combines popular media examples with the latest research to show students how to apply foundational communication concepts while incorporating technology, media, and speech communication to foster civic engagement for a better future. 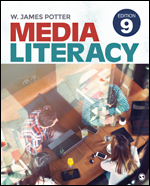 Media Literacy teaches students how to navigate through the overwhelming flood of information found in today’s media-saturated world. NRJ answers questions about U.S. and international newspaper performance and related topics of interest. 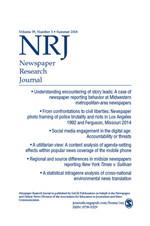 Covering key research themes, NRJ provides a unique forum for comprehensive, current research and discussion on print and online journalism.